Summer camps are a cultural staple in the United States. American parents send their children to summer camps in order to make new friends, experience a more natural way of life, learn new skills and partake of entertaining and educational activities. These same summer camps offer gap year students incredible opportunities to work as counsellors and meet new people, see new places, have some fun and earn a little money along the way. For a gap year student, working at a summer camp is a great way to kick off a year of international travel. Why Explore a Job at a Summer Camp? What Happens During a Job at a Summer Camp? Cleaning the "cabin" with campers. Eating most meals with campers. Organising talent shows, musical and acting performances. Swimming, trekking, hiking and camping. Officiating contests between campers and camp teams. How Do I Find a Job at a Summer Camp? 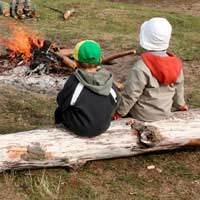 Securing a job at a summer camp will be easier if you work with an established agency. Prior to selecting an agency, decide your interests and your budget, and do not hesitate to ask questions while you are booking. If you are unable to find a programme in a country that with which you are interested with one agency, chances are you will be able to find it, or something like it, with another. Spending a summer working at a summer camp is an excellent way to see new places, make new friends and learn new skills. If you feel that working at a summer camp might be a great start to your gap year, don't hesitate to investigate your options. Good luck!